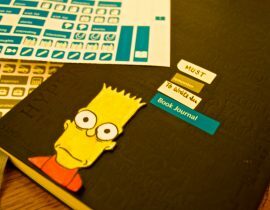 Celebrating the Moleskine Simpsons limited edition collection. 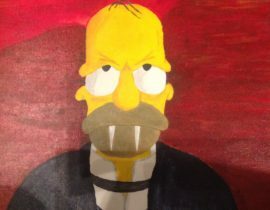 Send us a Simpsons-themed picture. Expired on 22nd January 2014; scroll down to see the entries. 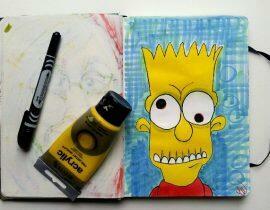 Contest: win The Simpsons white Numbered Notebook! 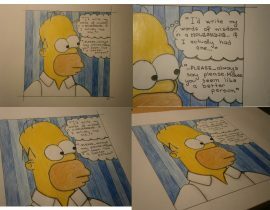 The new The Simpsons white Numbered Notebook is out, and only available in 9.999 numbered copies worldwide. Wait, scratch that – make it 9.998. 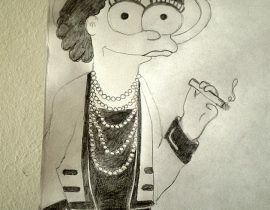 That’s because we saved one copy for the lucky winner of our The Simpsons contest. 3. 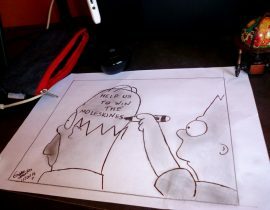 Upload it to myMoleskine with the tag #M_thesimpsons. To pick our winner, we will select the best selfie among the three most voted ones, so do your best work. Good luck! 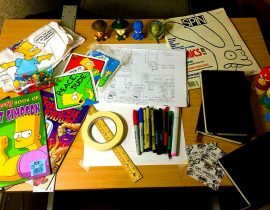 Send us a Simpsons-themed picture, eg a drawing you did or a photo of all your memorabilia, and win a Moleskine Simpsons Limited Edition notebook. 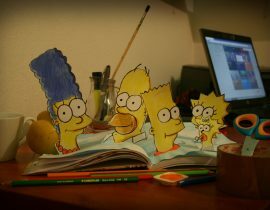 Upload your image to myMoleskine using the tag #M_thesimpsons to enter. You have time until January 21st: If your submission gets the most votes we’ll send you a package full of Moleskine treats. Expired on 22nd January 2014. The winner of this Creativity Challenge is Armen Ghazaryan. Sam G - Cartooning is fun. I just write a message to the profile of the moleskine on facebook stating that there is a competitive cheating the competition. 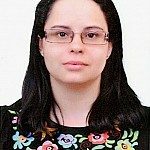 I follow everyday the development of voting for each design, and now 10:50 am (time of Brazil), I saw a competitor skip the vote of 556 votes to 770 votes. Surely there’s something wrong, and would like to ask for the site administrator to be positioned in this regard, because it is a tremendous lack of respect for those who are honestly fighting for this competition. I will put my IP address and data available to moleskine administrattor to check my informations anytime. Someone has been very malicious.